Dr. Yixiang Wang received his BSc in Chemistry and Doctoral degree in Polymer Chemistry and Physics from Wuhan University, China. His research area involved the preparation, modification, characterization and applications of natural polymer nanocrystals. 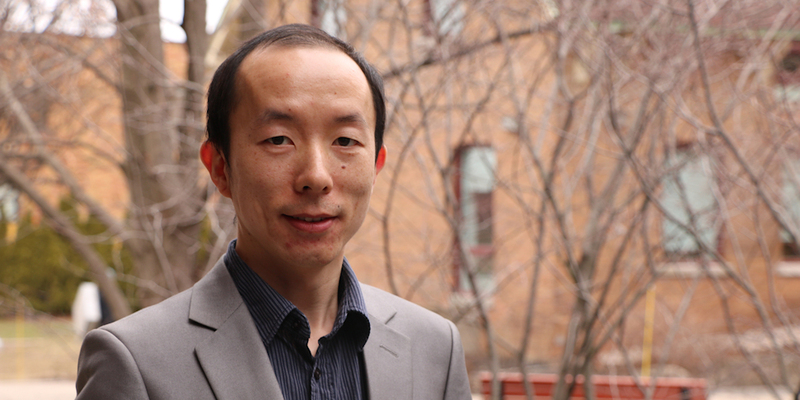 Following a post-doctoral fellowship at University of Alberta, Dr. Wang worked there as a Research Associate from 2012 to 2017, where his research focused on developing plant protein & cellulose based biomaterials for food and biomedical applications. Dr. Wang has authored/co-authored 34 journal articles, 4 book chapters, and 1 patent. He has been serving as reviewer for many leading journals in the fields of food, polymer, and material. Dr. Wang’s research interests have consistently focused on the development of natural polymer based materials. Natural polymers, such as cellulose, proteins, starch, chitin and chitosan, have been attracting increasing attention, primarily for two major reasons: environmental concerns generated from petroleum products and additional value to agricultural by-products. These polymers are biorenewable, and the resultant materials are usually biodegradable and biocompatible. Dr. Wang conducts research related to the fabrication of natural polymer based nano/micro particles, nano/micro fibers, composite films, and hydrogels, and the understanding of relationship between molecular structure and functional properties. The overall aim is to explore a systematic approach to develop new applications of natural polymers in functional food and advanced food packaging. Developing nanomaterials as sensors for food safety. Electrospun nanofabrics have very large surface area to volume ratio and excellent pore-interconnectivity. It is easy to incorporate the sensing and reacting compounds in the nanostructure to achieve the quickly starting signaling pathway and fast treatment. Developing ‘smart’ biomaterials for functional food, which allow the controlled release of several incorporated compounds in the desired sequence to achieve synergistic functionalities. Developing environmentally compatible materials with high performance for replacement of petroleum based plastics and foams, and enabling a better understanding of their microstructure and bulk features (mechanical strength, permeability, degradation, etc. ).